We have been prompted to write this blog as Google+ recently announced the shutdown of all Google+ accounts including business pages. We currently have 68 individual reviews about our motorcycle exhaust products on our Google+ page, scoring us a rating of 4.9 out of 5 stars. It will be a shame to see these reviews gone forever but we have many other platforms for consumers to review our products and service. 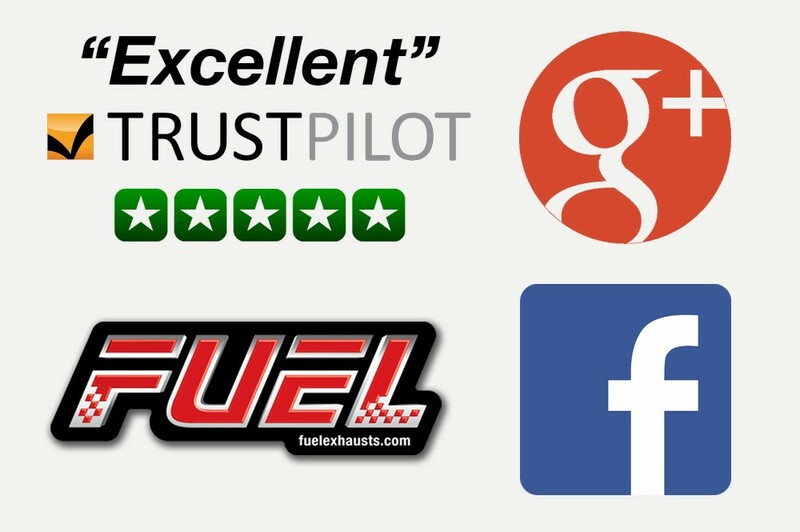 As a company Fuel Exhausts value all customer feedback, reviews and comments... Good or bad! That is why we encourage users to make use of any available platforms to tell other prospective customers about their experience when purchasing a new Fuel Exhaust. From the inital search through to the fit and build quality of the product, we think all information shared with other bikers can only be helpful. Everyone loves to get a pat on the back for a job well done and here at Fuel Exhausts, we also take onboard any comments, suggestions or improvements relating to our product or customer service. Granted not everything can always be implemented but we will always look into appropriate suggestions made. We are very proud that our motorcycle exhaust products and the Fuel Exhausts brand has a dedicated following of repeat customers who return to us bike after bike. We also have a large number of customers who have come to us from a personal word of mouth recommendation by a biking buddy, work colleague or online forum member. Many first time customers tell us they struggled to find a bad review about Fuel Exhausts online and we are pleased to be able to maintain our excellent products and second to none customer service for these new purchasers. One recent customer said 'I was checking out your reviews and got bored looking for a bad one so here I am placing my order'.